The present re-issue of this lost classic fills a major gap in the history of art and ideas in our century, It is the impassioned intellectual autobiography and ‘apologia pro vita sua’ of a maverick genius whose very “unclubbability” as artist and critic hindered its circulation — and even its publication — at the time it was written. “This is the history of a career, not a person,” Lewis wrote. Because his career was in eclipse in the years immediately after World War II, he intended Rude Assignment first of all as a response to literary critics and popular cartoonists whose “unjust, prejudiced and tendentious” attacks had created a wave of “misconceptions (about myself, or about my work).” His secondary aim was “to demonstrate an organic pattern” in all his works — that he had produced “a litter of books, not really discrete.” The result was a brilliant exposition of thought and theory, a fierce defense of intellectual honesty and originality, and a memorable argument for the serious uses of satire. 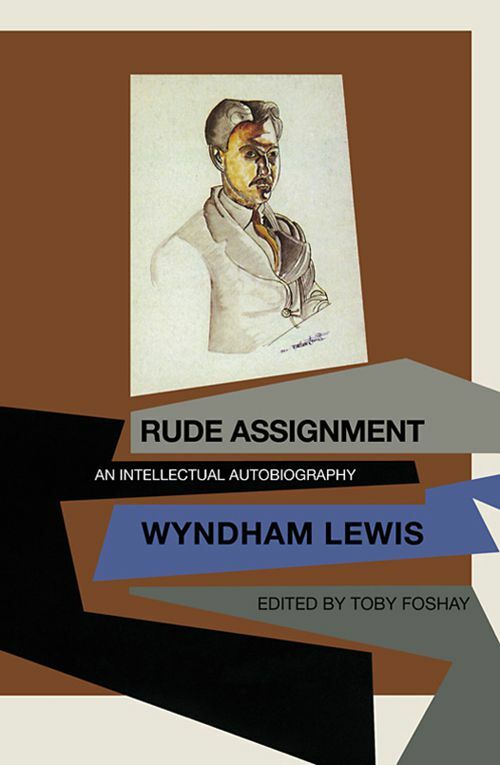 But, as Lewis readily admitted in his own book, “retaliation” from “outraged nobodies and their buddies” was the predictable reply of society to its satirists. He had, in The Apes of God, assaulted the literary-aesthetic upper crust — “whose class is dying, (but) in their agony they are capable of delivering some nasty kicks,” Because several writers he had insulted in his books were also clients of his publisher, it took Lewis four years to get Rude Assignment into print, and then only in an adulterated form. The book appeared 1950 in an edition of only 1,500 copies, went into a small second printing, and then fell into obscurity until the current Lewis revival; it has been the most difficult to obtain of the author’s major works. Rude Assignment now is brought to light in its original full text for the first time. There is also an appendix with six previously unpublished letters by Ezra Pound responding from incarceration at St. Elisabeths to this autobiography of his old colleague — whose apolitical attitude (“politically I stand nowhere, anymore than a fish does”) differed so radically from Pound’s own.